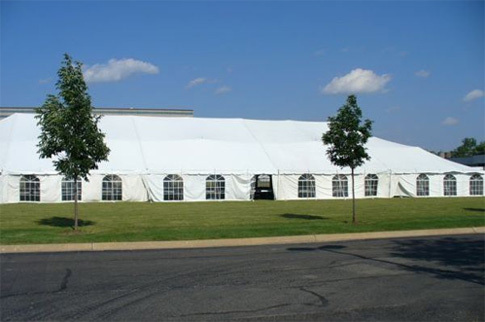 Tent, Table & Chair Rentals – Berg Industries, Inc.
For standout special events, nothing beats the ambience, protection and convenience of tent rental from Berg Industries. Whether your event calls for a small 20×30 canopy top or an elegant structure that accommodates 300+ guests, Berg has it covered—and cost effectively, too! You’ve got enough on your mind when planning a special event, so let Berg handle your table and chair rental needs too. 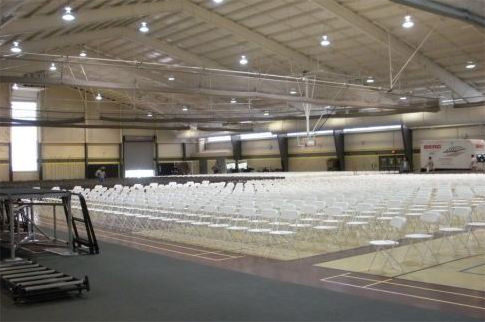 Brown and all white folding chairs, 8 ft.
banquet tables and 5 ft. round tables (both of which seat 8) are readily available and affordable to rent. Don’t forget the table covers-14 different colors and prints to choose from. Need more for your party? Berg now rents cocktail tables, bar stools, dance floors and lighting for your party. A Berg professional will come to your site to take measurements and help plan your rental needs. And because Berg tents are manufactured and stored on site in Rockford, short-notice requests can usually be accommodated. Please keep in mind, though, that at least a few days’ notice is required in cases where Berg must contact JULIE (Illinois’ underground utility marking service) prior to erecting a tent. Berg does not install smaller canopy-top tents, which are packaged to fit in the trunk of most full-size cars and require two men only about one hour to erect (instructions are provided). For larger tent rentals, Berg installs on Friday and removes on Monday. There is a $40.00 delivery charge in Rockford; delivery is available outside of Rockford for a reasonable fee. Call or e-mail for a quote today.